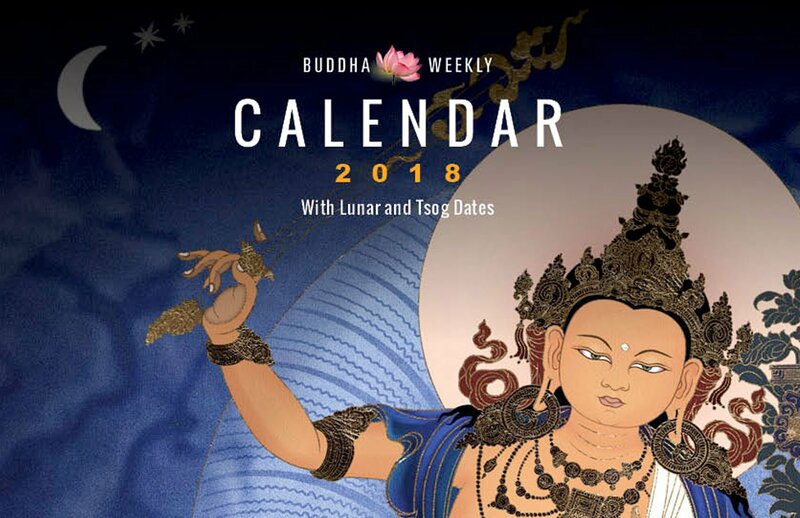 Buddha, in his life, performed many more “reluctant miracles.” In this second feature in our new series: “Miracles of Buddha” we cite the actual story of the 15 miracles, performed on 15 consecutive days by the Buddha. Even though Buddha often reprimanded his monks if they displayed supra-mundane powers, Buddha sometimes resorted to displays of power to prove a point, or to instill faith. 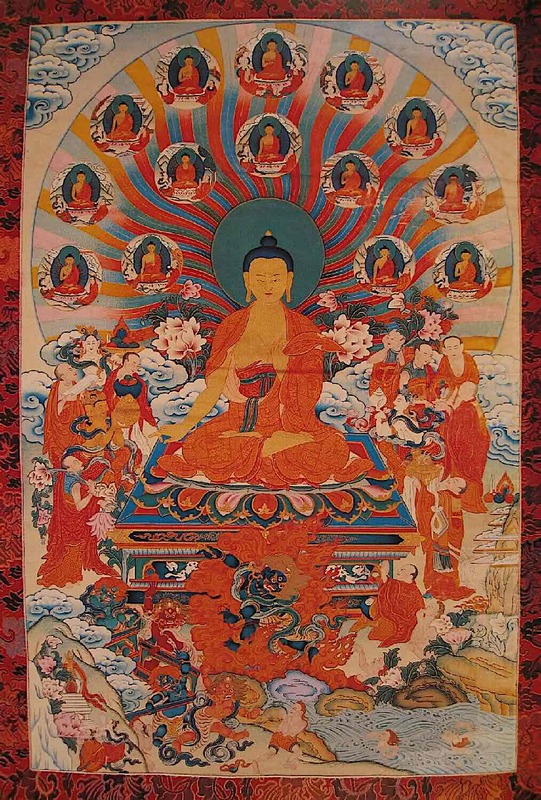 Thangka depicting the 15 days of Buddha’s Miracles at Shravasti. At one time, Buddha was staying with hundreds of fully ordained monks in the Bamboo Grove outside of Rajagriha. The ruler of that country, King Bimbisara, was one of Buddha’s greatest patrons. In loyalty and respect for Buddha and his monks, the King led many of his subjects to the practice of the teaching. Six heretical teachers were also staying there at that time, and their deceptive teachings were the cause of many unskillful actions. King Bimbisara’s younger brother followed these teachers and made great offerings to them, thinking that they taught the path to liberation. As a result he became defiled by error, so that even though Buddha was showing the glories of enlightenment, he did not see it. King Bimbisara persuaded his brother to give up his erroneous ideas but his brother replied, “I have my own teacher. Why should I listen to Buddha?” Nevertheless, feeling that he should respect King Bimbisara’s feelings, the brother decided to give a feast, offering food and gifts to all who came. The six teachers came and sat in the highest seats. When Buddha and his disciples arrived, they walked toward the few remaining seats, but before they could reach them, the six teachers found themselves getting up from the highest seats and taking the lower. They tried three times to take the higher seats, but each time found themselves in the lower. Finally, feeling ashamed, they remained there. Before the food was served, water was brought to the guests so that they could wash their hands. As Buddha was in the highest seat, his host offered the water to him first, but he said, “Offer it first to your teachers.” The water was then offered to them, but when the vessel was tipped, nothing flowed into their hands. The host tried again and again, but still the water would not flow. He then offered it again to Buddha. The water flowed freely to Buddha, and after that to everyone. But when the six teachers tried to pray, they were unable to utter a word and gestured that Buddha should say the blessing. 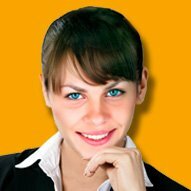 Buddha did so with a clear, beautiful voice, and the food was offered first to him, but he said once more, “Offer it first to your teachers.” The food was then offered to them, but everything they tried to take flew into the air. After food was taken by Buddha, everything came down into their hands. After the meal, the host made the customary request to Buddha for teaching. Buddha again deferred to the six, saying, “Have your teachers speak of their doctrines.” Again the six teachers, unable to speak a word, could only motion for Buddha to speak. He spoke in a beautiful voice and each listener heard what fitted his own needs. Everyone’s understanding increased greatly. Even King Bimbisara’s knowledge grew from high to higher. Many attained the first to the third stages of liberation; others expanded their bodhi-mind, and some attained the supreme bodhi-mind. A great number of people attained the stage of non-returning, and others, attaining what they prayed for, developed great faith in the Three Jewels. From then on, the people of Rajagriha followed the Buddha. King Bimbisara visited Buddha and told him of the challenge, “Those six teachers want to compare their miraculous deeds with those of the Tathagata. Will you please show them your powers to reverse their wrong views and lead them to do virtuous work? When you do this, may I be there?” Buddha replied, “The time will be known. Prepare a suitable place.” King Bimbisara had his ministers clean and prepare a broad field. There they erected a lion throne and victory banners of the Conqueror Buddha. And they followed after him. King Bimbisara with five hundred carriages, elephants, horses, provisions, and thousands of attendants and ministers went to Vaisali. The six teachers took their challenge to the King of the Licchavi, and he came to Buddha, saying, “Please show your miraculous powers and subdue these men.” Again Buddha answered, “All in good time,” and told them to prepare a place. But again he went to another country, Kausambi, followed by a great multitude and the six pundits. King Udrayana and the people of Kausambi welcomed Buddha. Through King Udrayana, the six teachers again issued their challenge to Buddha, who again replied, “The time is known. Prepare a place.” King Udrayana made great preparations, but Buddha went on to War, the land of King Shun Tsin, From War he went to Tigitsashiri, which was ruled by King Brahmadatta. From there he went to Kapila, the country of his own people, the Sakyas, and finally he went to Sravasti, the land of King Prasenajit. He was followed there by the Kings of the countries he had passed through, along with thousands of their attendants, and by the six teachers with their ninety thousand followers. Again Buddha replied, “The time is known. Prepare a suitable place.” King Prasenajit had his ministers clean and prepare a wide field, burning incense and placing there a lion throne and the banners of the Conqueror. On the first day of spring, Buddha went to the field that had been prepared for him and sat upon the lion throne before the multitude. After King Prasenajit’s great offerings, the Tathagata took a toothpick and placed it in the ground. It grew at once into a marvellous tree. On its branches, which extended for kilometres, grew beautiful leaves, flowers, fruit, and jewels of every kind. The multi-coloured light emanating from the jewels was as brilliant as the light of the sun and moon combined. When the branches of the tree rustled in the wind, the sounds of the teaching were heard. Then Buddha himself spoke to the multitude. Many of the people listening progressed greatly – some attained arhatship and millions ripened the seeds for rebirth in the high states of humans or gods. On the second day of spring, King Udrayana made great offerings to Buddha. The Tathagata then turned his head right and left, and on either side of the lion throne a jewel mountain emerged. On each mountain flowed a magical spring whose water had eight different tastes. One mountain was covered with lush grass to feed and satisfy animals, while the other was covered with special food to satisfy humans. Buddha then spoke the teaching according to each person’s ability, and many were freed. Some of those present generated the supreme bodhi–mind, and many established the inclination for rebirth as humans or gods. On the third day King Shun Tsin of War made offerings to the Tathagata. After eating, Buddha rinsed his mouth with water. On the ground where the water fell, a great lake formed which extended for three hundred kilometres. The water had eight tastes, and the bottom of the lake was covered with seven kinds of jewels. Great quantities of lotus flowers of every colour grew on its surface, and their fragrance filled the air; by the rays of light extending from them in all directions, the people could see everywhere. When the people saw this, they were very happy, and when Buddha taught, some attained arhatship, some increased their bodhimind, and many others attained the seeds of rebirth in the worlds of humans or gods. On the fourth day King Indravarma prepared the offerings for Buddha. Buddha created a pool from which eight streams flowed outward in circular paths, and to which they returned. In the sound of the streams people heard the teachings of the five powers, the five strengths, the seven aspects of bodhi-mind, the eightfold path, the three principles of the path to liberation, the six kinds of omniscience and the four immeasurables. From this teaching many attained understanding of the effects of Buddhahood and many attained rebirth in the high states of humans or gods. Hundreds of thousands increased their virtuous work. On the fifth day King Brahmadatta of Varanasi prepared various offerings for Buddha. From the Tathagata shone a golden light that filled the entire world. This light reached all living beings and purified the defilements of the three poisons: desire, hatred and ignorance. All beings became peaceful in body and mind, and those assembled rejoiced greatly. When Buddha spoke, many increased their bodhi-mind, many planted seeds of rebirth as humans or gods, and a countless number increased their virtuous work. On the sixth day the Licchavi people made offerings to Buddha. Buddha then enabled all who were there to see into each other’s minds and each one saw the others’ good and bad thoughts. All experienced great faith and praised the knowledge of Buddha. The Tathagata then taught the holy Dharma and many attained great understanding – some attained bodhi-mind, some arhatship and an immeasurable number attained rebirth as humans and gods. On the eighth day Indra invited Buddha and prepared a great lion throne. When the Tathagata was seated, Indra himself made offerings on Buddha’s left while Brahma made offerings on his right. They bowed down before him, while the people sat quietly. Buddha placed his right hand on the lion throne in the earth touching mudra, and there was a great sound of trumpeting elephants. Five fierce demons came roaring forth and the thrones of the six teachers were destroyed. After the demons, Vajrapani came, with flames shooting from the point of his vajra. The six teachers were terrified and jumped into the water and disappeared. Their teachers having deserted them, the ninety thousand attendants took refuge in Buddha and asked to become fully ordained monks. Buddha welcomed them and the matted locks and beards that had marked them as disciples of the six teachers miraculously disappeared. Buddha taught all of them according to their abilities to understand. Freeing themselves from the fetters of desire, hatred and ignorance, each attained arhatship. Then the Tathagata radiated eighty-four thousand rays of light from the pores of his body, so that the light filled the entire sky. On the point of each ray was a beautiful lotus, and on top of each lotus appeared a Buddha along with his attendants. Each Buddha was teaching the Tathagata’s doctrine. All felt joy at this sight, and their faith was greatly increased. Then Buddha spoke the holy Dharma and many increased their bodhi-mind, some attaining arhatship, and a countless number produced the inclination to take rebirth as humans or gods. On the ninth day Brahmaraja made offerings to Buddha. 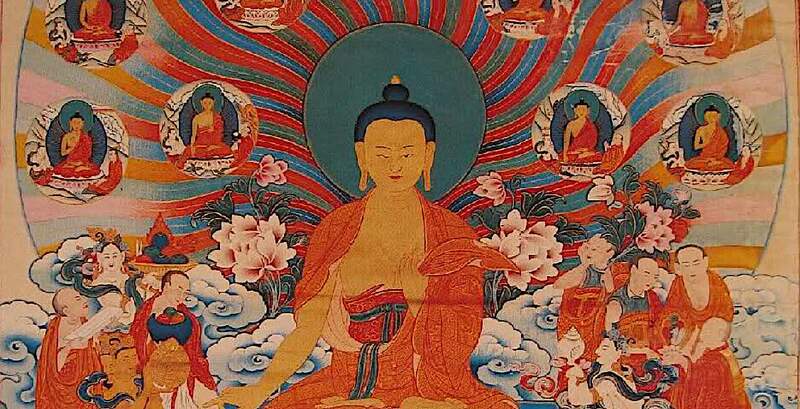 The Tathagata extended his body until it reached the highest heaven of Brahma. From this body rays of light shone in all directions, and from this great height he gave the teaching. On the tenth day the four great kings who protect the Dharma invited Buddha to speak. Again he extended his body until it reached the height of samsara. Rays of light streamed from him, showing the teachings. On the eleventh day the great patron Anathapindika made offerings to Buddha, who was seated upon the lion throne in meditation. Though the assembly could not see his form, his body radiated golden light, while in a great voice he expounded the teaching. On the twelfth day the householder Tseta invited Buddha to speak. The Tathagata entered into the meditation of great love, and golden light radiated from his body, extending throughout the worlds. The rays of light cleared the three poisons from the minds of everyone and their compassion increased. They loved each other as a father and mother love their children, as a brother loves his sister. On the thirteenth day King Shun Tsin made offerings to Buddha. The Tathagata sat on the lion throne and two rays of light, rising fifteen metres, radiated from his navel. On the point of each ray of light was a lotus, and on each lotus, a buddha. From the navel of each buddha extended two rays of light and upon each of which was a lotus with a buddha, and so on, filling the worlds. All the Buddhas were expounding the teachings. On the fourteenth day King Udrayana made offerings to Buddha. He strewed flowers in front of Buddha, and they changed into twelve hundred and fifty carriages made of precious jewels. Buddha taught the Dharma to beings throughout the worlds as a doctor healed the sick. By his blessing, even the eighteen kinds of demons realized that their misery was caused by deeds they had done themselves. They felt great faith in Buddha. As on all the previous days, those assembled attained great advancement. Some increased their bodhi-mind, some attained arhatship, some attained the stage of nonreturning, many attained the seeds of rebirth as humans or gods and countless others increased their virtue.